Born on February 7, 1923 to John William and Lucy Lucas Lamm, near Black Creek, NC., she was the eldest of 5 siblings; John William “Bud” Lamm Jr., Elsie Edmundson, Christine Elvia Lamm, and Joseph "Mickey" Lamm, all of which preceded her death. Always a farm girl at heart, Dorothy continued to enjoy gardening and landscaping. Travel was another great love with several trips abroad as well as camping trips throughout the south. Dorothy, after graduating from Lee Woodard High School, of Black Creek, NC, attended Woodard-Herring Hospital Nursing School of Wilson, NC. Upon graduation as an RN, she served as an Army Corp Cadet Registered Nurse during World War II with Babies Hospital at Wrightsville Beach, NC. She continued her career working as a R.N. with first Woodard-Herring Hospital and later clinical nursing with Dr. Bell Sr. also of Wilson. On November 21, 1951 Dorothy married Norman "Mack" McRainey Jr., a Navy veteran of WWII, who worked his full career with Carolina Telephone and Telegraph Company for over 40 years. In 1954, son Malcolm "Trip" McRainey III was born. Dorothy soon retired from nursing to be a full-time mom. The family lived in various parts of eastern North Carolina, eventually returning to her hometown of Black Creek in 1971. In 1984 Dorothy was blessed with a grandson Malcolm " Mack" McRainey IV. Dorothy lost her husband to a protracted illness in 1993, after 42 years of happy marriage. Never forgetting her nursing skills she dedicated her time to assisting first her ailing father John until his death in 1971, then later mother Lucy, until her death in 1997 and later still for her sister Christine until her death in 2005. She also assisted with taking blood pressure and administering insulin to friends and neighbors in the community. 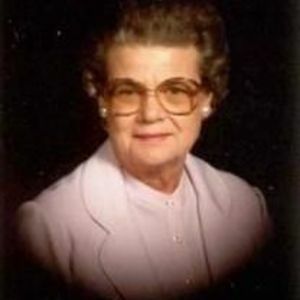 Dorothy was an active member of the Black Creek United Methodist Church in Black Creek, NC. Also, for a time she was member of the Black Creek Historical Society. She was a devoted daughter, sister, wife, mother and grandmother who was loved by family, friends and neighbors, alike. She is survived by her son Trip, and daughter-in-law Cheryl both of Nashville, NC , grandson Mack, of Augusta, GA, step-grandchildren Patrick Speight and Rebecca Speight, both students at Liberty University in Lynchburg, VA, sister in-law Jean Woodruff Lamm of Chocowinity NC, and of course her many cousins, nieces and nephews. May the Lord comfort and guide her in Heaven. She’s coming home Dad.